users of GO are responsible for reading and understanding the present section. prices for fuel and logistics, international policies and government regulations, exchange rate fluctuations or any other event affecting the operation beyond GO’s control. If there is any adjustment, it shall be reported when a firm booking with full payment is received. All items not specifically included in the itinerary must be paid directly by the passenger. GO accepts no responsibility for discrepancies between verbal quotes and written quotes. After payment has been made, all information contained on GO’s service itinerary is considered correct. GO must be advised in writing about all reservation requests, changes in reservation and/or payment. Reservations shall be confirmed when total payment is credited to KT’s accounts. The client is also responsible to double check vouchers and pro forma invoice quoted by GO at www.gogalapagos.com “My Account”. For groups and charters monthly sales reports are mandatory: number of passengers, type of cabins / rooms, sold spaces must be updated in writing. If a group increase is requested, spaces will be confirmed on a first-priority basis. If the sales report is not received during the first 10 days of the month, GO reserves the right to reduce the spaces in HOD (high occupancy dates) departures. No groups, charters or allotments can be held during holiday sailings such as Christmas and New Year periods due to limited availability, spaces will be reserved for individual firm reservations only. To issue final confirmation of services and to comply with the Galapagos National Park and Government Council requirements, final rooming list and passengers’ data must be submitted up to 61 days before the tour date. 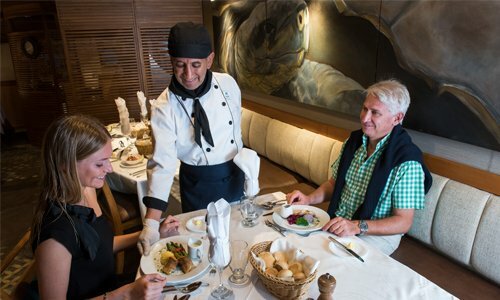 Simply go to “Your Reservations” site at www.gogalapagos.com Click in “My Account”. Enter your login and password. Click in “Reservations” and then “Your Reservations”: your bookings will be displayed. Click in the individual reservation to be filled out. Click in “List of Passengers”. Enter data. Ask for your booking’s Passengers Information Form and return it filled out with complete data (no other chart or format can be used for this purpose). Use the individual links sent along with each confirmation in order to fill out the information online. First name / last name / passport number / nationality / date of birth, as shown in the passport. Passport copies in case of children under 12 years old. – Marital Status: single/married/divorced/widowed/lawful union – Language spoken. On board and hotel accommodations (type of cabin / room, double, triple or single). Cabin / room assignment (companion). If only cruise is taken, hotel and ground operator contacts. International arrival / departure date in Ecuador and flights in and out. Emergency contact and home phone contact. Insurance contact information, if any. Children under 12 years old. Along with a copy of legal representative´s passport. Passengers with physical disability or health problems. For passengers and suppliers´ safety, GO reserves the right to decline the provision of services in case physical condition information has been distorted or omitted. Scuba diving and other sports or adventure tours. Trip members are responsible for selecting a trip that is within their abilities and to decide if their participation in the tour is safe as they will have to engage in activities that often involve speed, height, a high level of physical effort, and specialized training. International Diving License is required in order to confirm scuba diving options. PADI Open Water Diver course and a minimum number of immersions might be required depending on depth and/or immersion time, intermediate or advance level on dives. 1.3 Special requirements: Diet or allergies requests should be notified to GO up to 61 days before tour departure date. GO shall do its very best to meet reasonable special dietary needs, some, however, cannot be guaranteed keeping in mind Galapagos provisions´ restrictions. In certain cases, GO might need further information such as height, weight, physical condition, etc., to be able to provide the best accommodation and services to the user. GO is not liable of complaints or refunds in case of services that have not been provided if the information detailed above (1.1, 1.2 and 1.3) is not sent or does not arrive on time, or due to limitations of the properties involved such as during high occupancy departures, when a cabin / room category for double share, single and triple accommodation cannot be guaranteed. Should a passenger’s accommodation be changed, the customer will be contacted prior to the scheduled departure date and GO will refund the proportional amount due to price difference, if any, for alternative service, category or accommodation given. GO shall proceed to book space when deposit / payment conditions are fulfilled. All payments must be made to the accounts of KT within the time-limits indicated, otherwise the space that has been booked could automatically be released, and deposits forfeited, or might be listed on first pay first served basis. A yearly floating deposit would replace individual ones. Ask for particular conditions. When a Galapagos cruise departure or third-party service reaches “high occupancy departure” (HOD) status, GO reserves the right to ask for an extra non-refundable deposit or full payment. If the “HOD” notification is not accepted by the customer, the booking will be listed with priority two, space will eventually be confirmed if available. All changes and cancellations must be notified in writing to be considered and accepted by GO, user must request a written confirmation from GO’s side informing the cancellation notice was received and spaces have been released accordingly. GO will inform if penalties will be applied. The cancellation fees shall be debited automatically from the deposits or payments. If a booking agent guarantees a reservation without payment, the invoice must be honored in case services are cancelled. Remaining balances shall be credited to future bookings by a credit note, or will be used as a part of payment for the spaces that remain held (if any). Last minute requests are subject to availability. Priority is given with full payment on a first paid first served basis. In case of groups and charters monthly sales reports are mandatory. To confirm a booking, a deposit of USD $500 net per person per short cruise is required. If the deposit is not credited, the reservation shall be given a “priority two” status. During Peak Seasons (Easter, Christmas, and New Year) deposit is non-refundable. Total balance must be fully credited in KT´s account up to 61 days prior to departure. HOD conditions apply. Rather than cancelling services we suggest you to reschedule the cruise date or to change the name in the same held departure under the following conditions: Between 120 and 61 days prior to departure, a US$ 150 penalty per person per short cruise shall be charged. Between 60 and 31 days prior to departure, a 20% discount will be granted for new reservation involving date change with same names. Balance will be forfeited. Price adjustments apply depending on available date, ship, and cabin. H.O.D departures do not apply. 121 days prior to departure, spaces can be released without penalty. 120 – 61 days prior to departure, US$ 500 per person per short cruise shall be charged for any space released. 60 days prior to departure, reservations shall automatically be considered as firm; therefore, 100% of the total negotiated rate (cruise + fuel surcharge) will be charged and withheld if the booking is cancelled. 20% deposit of the total charter rate is required to place reservation with “priority one”. If the deposit is not made, the reservation shall be given “priority two” status. 100% of total outstanding balance must be paid 91 days before departure date. 301 days prior departure a charter can be released without penalty. 300 – 181 days before departure date, a full charter can be changed without penalty to a half charter rate for the M/V “Galapagos Legend”, to a group rate for M/Y “Coral I” (18 passengers) and M/Y “Coral II” (10 passengers). If the cancellation is in full 20% deposit is forfeited. 180 prior to departure, deposits are forfeited. In case of date changes price adjustments might apply depending on available date and ship. H.O.D departures do not apply, full cancellation penalties will be charged in order to reschedule. Immediate non-refundable full payment is mandatory. Special deals apply to new bookings only. Spaces are limited, and promo deals might be modified or withdrawn without previous notice. Different offers cannot be combined. 2.2 Third party services Land bookings and air tickets shall be processed only when the requests are in firm. The conditions for paying hotel services and other third parties may change depending on the individual conditions set forth by the provider. In case of hotels in Ecuador mainland, Galápagos or Peru, non-refundable deposits, stricter payment policies, and higher cancellation costs might apply when dealing with reservations for certain lodges, boutique hotels, groups or series that require space well in advance, special events, accommodations during the high season or holidays, meals, and others. For air tickets issuance, airfare full payment is mandatory. Any changes will be subject to Airlines´ policies. Issued air tickets are non-refundable and non endorsable. Galapagos air tickets are issued 30 days prior to departure. Taxes and entrance fees are refundable up to 10 days prior to travel date. Land services, guidance, train tickets, transportation and others, if the booking is cancelled within 30 days prior to the beginning of the tour, 20% of the total negotiated rate will be charged and withheld. With the exception of those services for which stricter policies are in place. Payments can be made only in the account specified by KT or GO in U.S. dollars or Euros. Major credit cards and Pay Pal payments are accepted from direct passengers only. Special conditions apply. Any extra expense for transferring funds must be covered by the user and included in the payment. GO must receive notice of payment to be able to check when money was credited. Booking shall be confirmed once the money has been completely deposited in KT’s accounts. Otherwise, GO reserves the right to render the services, place said booking under request, refuse services or request payment directly from the passenger, who is held jointly liable for all terms and conditions stated in these policies and in our agreements or quotations. Priority shall be given to bookings that are completely paid for. Services shall be confirmed in a first paid first served basis. As a basic principle, no refund will be made for any unused service such as hotel or cruise accommodation, service or transportation. If a refund is obtained, however, there may be a fee withheld for administrative charges. GO responsibility will not extend beyond this refund, and no payments will be made, or compensation given, in respect to claims for contingent liability or inconvenience experienced by users. No refund can be made on lost, mislaid or destroyed tickets or vouchers or on lost property. Any complaint the user might have while on holiday must be expressed in writing by the passenger and addressed to GO’s main office within 30 days of the termination of the tour, in order to duly process it. The complaint must also be exposed on the comment cards provided by GO for mainland services or cruises, and include supporting documentation. GO shall not accept responsibility for claims received after this period. No refunds shall be made for any missed service or extra expenses except for those where it is possible to substantiate that they were the operator’s responsibility. Any adjustment shall be considered only on the basis of the current prices directly involved GO will not be held liable for any consequences or expenses incurred for any changes, cancellations, accidents, injury, death, etc. caused by any disability, whether it has been reported to GO or not. No refund will be forthcoming for missed sightseeing, meals, early/late departures and visits that were not enjoyed by the user. All refunds shall be endorsed by a credit note to future bookings (minimum 3) that must include a Galapagos Cruise. GO complies with all national tourism regulations. All guides are highly knowledgeable of all areas that the passengers will be visiting as part of the programmed itineraries. GO provides tourists with experienced guides who are fluent in English and Spanish. Any other language must be requested when booking the space and shall be provided only if available. These can incur a charge. There is no extra charge for German, Italian and French guides when groups exceed 6 passengers on board GO fleet, except for scheduled departures in French and German which are available along the year (check with reservation agents). The naturalist guide may have to provide assistance, information and interpretation in two or more languages at the same time if necessary. If at the time of tour it has not been possible to provide the guide in the language that was requested, the extra charge for this language will be refunded if already paid for; no extra compensations will be considered. Tourists must facilitate the work of guides and drivers by complying with the following: handing over vouchers when requested, respecting pickup times when transfers are required, and complying with local rules and regulations and all instructions that are given. The customer recognizes that any local or foreign group leader who is being provided by the customer is not allowed to operate and act as a guide on Ecuadorian territory and/or the Galapagos Islands. The group leader must comply with all requests put forth by the local guide authorized by GO, and will otherwise be able to coordinate all steps in accordance with contract terms. Group leaders shall not be able to change the itineraries presented by GO or other itineraries operated by GO without the prior written authorization of GO. Group leaders are forbidden to offer alcoholic beverages or any other substances to guides, drivers, crew members, or any other staff member of the tour. It is mandatory for all passengers using any GO services or third-party services arranged by GO to obtain necessary insurance before arriving in Ecuador. Insurance is not included on GO cruises and tours. We highly recommend coverage for travelers and property, as well as for trip delay, trip cancellation, interruption, baggage, life insurance, medical, accident, sickness, etc. GO equipment meets local insurance law requirements for their operation only. GO has certified ships and yachts that comply with international standards and regulations. GO ships, yachts, and buses meet all national safety regulations and legal requirements. If a passenger is believed to be a hazard for himself / herself or others, or causes disturbance to other passengers, the GO representative, the ship’s captain or the tour guide may refuse the passenger or terminate any cruise or mainland program for that passenger at any time, at the complete risk and expense of the passenger. For safety reasons, GO will not admit on cruises or mainland tours any passenger carrying firearms or sharp weapons that could cause any injury to himself / herself or other passengers, crew, flora or fauna. Forbidden articles include guns, knives, compressed gas, corrosive substances, poison, explosives, firearms, ammunition, fireworks and flares, inflammable liquids and solids, radioactive matter and oxidizing materials. GO reserves the right to refuse, revoke, accept or restrain the further participation of any person whose actions impede trip operation or jeopardize the rights, welfare, enjoyment of the trip of other group members, who might be a hazard to himself and others, harm nature or violate regulations. GO also reserves the right to refuse, revoke, accept or restrain the further participation of any person it deems incapable of withstanding the hardships or meeting the requirements of participating in the activities that have been planned or contracted. GO shall not be required to refund any portion of the rate paid by any passenger who must leave the cruise or mainland service prematurely for any of the reasons specified above. Therefore GO will not be responsible for accommodations, meals, return transportation or other expenses incurred by the passenger for these reasons. GO shall not be held liable for the actions or activities of any passenger who consumes, purchases or obtains, by any means, alcoholic beverages or illegal drugs. Illegal drugs are strictly forbidden on board or during GO’s mainland excursions. Illegal drug possession shall be reported immediately. If detected, the cruise or tour will be terminated immediately and all money paid forfeited. Any physical disability or health problem that might require special attention or treatment should be reported in writing to GO. In these cases, GO reserves the right to decline the provision of services. GO will not be held liable for any consequences or expenses incurred for any changes, cancellations, accidents, injury, death, etc. caused by any disability, whether it has been reported to GO or not. No refund will be forthcoming for missed sightseeing, meals, early/late departures and visits that were not enjoyed by the user. GO shall not be held liable for the provision of medical care during the trip. GO acts only as the agent for the owners, contractors and suppliers providing means of transportation and/or related travel services, and therefore it cannot be held liable for injury, loss, or damage to person or property in connection with any service resulting directly or indirectly from, but not confined to, detention, annoyance, delays and expenses arising from quarantine, strikes, pilferage, theft, force majeure, failure of any means of transportation or conveyance to arrive and depart as scheduled, civil disturbances, terrorism, government restrictions or regulations, and in-transit discrepancies or changes on aircrafts, cruises, hotels and any other services or location, for incidents such as airline cancellations, re-routing, delay, or any disruptions of schedule, service or accommodation, for baggage lost by airlines or the independent tour operators who handle overland transfers or arrangements. GO is not responsible if a transfer, hotel accommodation, flight connection, or any other service is missed due to delayed or cancelled flights. Alternative transportation, hotel accommodation, additional services or flight reschedule shall be arranged and paid directly by the passenger or through the issuing Travel Agent. GO is not responsible for the acts and/or omissions of providers (third-parties) or for any loss, damage, or expense the user may incur as a result of the acts and/or omissions of service by the third-party. GO and its associates act only as agents for passengers in matters pertaining to transportation, accommodations, or other services. As agents, tickets, exchange orders, or vouchers, if issued by GO, are subject to each and every term and condition under which such means of transportation, accommodation or other services are offered or provided. GO will not be held liable for, and travelers release GO from, any injury, damage, loss, accident, delay or irregularity which may be caused by any such third party, person, firm or corporation in carrying out or failing to carry out arrangements previously agreed upon, or for the misconduct, whether willful, criminal or otherwise, of any such third party, person, firm or corporation in providing or failing to provide services. GO might book hotels in the Galapagos Islands (check section 2.2 for details), however, land-based tours are not sold or provided by GO due to quality control and restricted regulations. GO might refer providers only. These General Conditions also apply to third parties buying services from agencies, wholesalers, and operators acting as intermediaries, via internet or any other instrument approved by GO. The customer accepts the general “Terms and Conditions” published and updated by GO at: www.gogalapagos.com or www.kleintours.com and declares that he/she has read, understood, and accepted them in their entirety without entitlement to claims and that he/she is fully responsible for transmitting them to end users so that they will be apprised of them. GO refuses any and every liability from any and all claims that might be filed for loss or damage to baggage or property of the passenger; personal injuries, death; or delay as a result of the acts, omissions or negligence of any independent contractor or supplier, such as, but not confined to: airlines, cruise ships, hotels, restaurants, transportation providers, and other services or facilities. GO refuses any and every liability for any accident stemming from the practice of scuba diving, water sports, hikes on the islands or the mainland, or other activities outside our facilities. GO shall not be held liable for any loss, injury, death or harm unless it was caused by GO’s negligence when using GO’s own facilities in which case liability shall be subject to local laws and regulations. GO may accept children as passengers for its Galapagos trips or on mainland Ecuador, but shall not be held liable for any accident that might occur to minors. Children are the sole responsibility of their parents and/or legal guardians. The passenger is responsible, and pledges to compensate GO, for all penalties, fines, losses of money and/or expenses incurred or imposed by virtue of any act, omission or violation of law by the passenger and for any damage to the ship caused by any willful or negligent act or omission on the part of the passenger. GO reserves the right to take photographs, shoot films and comment cards of any trip and its participants, and may use any such material for promotional and/or commercial purposes. The videos or photos that might be used by the passenger for commercial purposes require prior specific authorization from National Park authorities. Passengers must be in sound health and physical condition. Trip members are responsible for selecting a trip that is within their abilities and interests, and to decide if their participation in the tour is safe as they will have to get on and off the yacht or ship from a small dinghy, swimming among wildlife, rocks and in open sea, dive in the ocean, climb up and down during hikes, walk over uneven terrain, travel by maritime transportation, car and bus, and engage in adventure activities. Nevertheless, IN NO CASE SHALL GO BE HELD LIABLE FOR INCIDENTAL OR CONSEQUENTIAL DAMAGES. GO reserves the right to restrict the participation of passengers in hikes if they entail any kind of imminent hazard for the passenger or other group members, and the passenger who is disembarked is fully liable for all related risks and costs. No employee, servant, agent or associate of GO may change any of the previously listed booking conditions without the prior written consent of the Board of Directors. Operation Guarantee GO will endeavor to guarantee tours as far in advance as possible. Some tours, however, cannot be guaranteed until 15 days prior to departure. Should a passenger’s program or service be cancelled due to lack of enrollment, for commercial reasons, the customer will be contacted prior to the scheduled departure date. The program or service may be re-booked or GO may refund the total payment made for the service not provided. Changes in the itinerary may be made when deemed necessary or advisable by GO, including substitutions for comparable hotels, yachts or vessels, attractions, sightseeing or transportation units. Extra costs due to unexpected changes in the itinerary for reasons beyond our control are not included. (If an upgrade is required, higher rates may apply). Major changes will be informed as soon as possible before departure. The user may choose between: a) accepting the change, b) accepting any alternative tour offered, or c) a refund for the service not rendered. Refunds will be made as a credit note directly to the tour operator involved or the paying party (check section 2.4 for details). If the customer decides to take the alternative offered, no further refunds or credit will be allowed unless so specified in writing. GO will not be held liable for any further claims. To uphold the safety and security standards that are required and to improve services, maintenance of units and dry dock might be notified without prior notice. If it is not possible for GO to operate the contracted cruise or tour for causes beyond its control, within 24 hours after the departure date, the cruise/tour may be cancelled and the money paid will be refunded. In case of damage to the ship, which cannot be repaired within 24 consecutive hours, GO will refund the proportional amount paid from the time the ship was disabled or tour operation cancelled. In cases of force majeure or for commercial reasons, GO is entitled to provide a similar ship / price, yacht, tour arrangement, if available, and reserves the right to substitute it for a similar one, with or without prior notice. In force majeure situations, GO reserves the right to withdraw a tour either completely or any part of it, to make alterations as deemed necessary and to pass on to tour members any outlays caused by delays or events beyond its control. All airfares, taxes, schedules, ports of departure, time of arrival/departure and special programs are subject to change without prior notice. Local flights allow one piece of checked soft luggage weighing 20 kilograms. The Galapagos cruise itineraries are subject to change without prior notice or can be operated in a different sequence. All Galapagos itineraries are under the direction of the Galapagos Park Administration or can be changed at the captain’s discretion. Mainland tour itineraries are also subject to change when there are bad weather conditions, strikes, natural events, or force majeure events beyond GO’s control, or if a minimum number of participants is not secured. GO reserves the right to change the itineraries and offer the best available alternative for passengers. On dates including, but not limited to religious holidays and national celebrations, some churches, museums, monuments and sites may be closed. There is no guarantee that specific wildlife shall be observed during a particular mainland tour or cruise. All sightings and optional activities are subject to environmental, operational conditions and passenger´s physical condition. Any independent arrangements that the passenger may partake locally that are not included in the program contracted with GO but are rather provided by an independent airline, operator, or local supplier, shall be the passenger’s sole responsibility, who is fully liable for all related risks and costs that must be paid directly to the organizer. GO does not supervise or control this portion of the program and cannot be held liable for delays and expenses arising from any act or omission of the organizer or any other party connected with it. Therefore, GO reserves the right to decline the provision of services in connection with passenger’s independent arrangements. GO reserves the right to change transportation and guides during the operation of the tour in case of major force situations, guaranteeing GO´s quality standards. This present agreement shall be governed by Ecuadorian Law and therefore interpreted within the framework of this law. In the event of a dispute between the parties as a result of the present agreement, if it has not been resolved amicably between the two parties, both GO and the customer shall be subject to the jurisdiction of the Arbitration Court of the Chamber of Commerce of Quito (CCQ), pursuant to the regulations of the Ecuadorian Arbitration Law. The rules for the arbitration process shall be as follows: the parties waive ordinary administration of justice and are bound to accept the rulings issued by the Arbitration Court. The Arbitration Court shall be comprised of three (3) members. The arbitration process shall be in Spanish and shall be conducted in the Arbitration Center of the CCQ and shall be confidential. All parties must cover corresponding fees and charges.